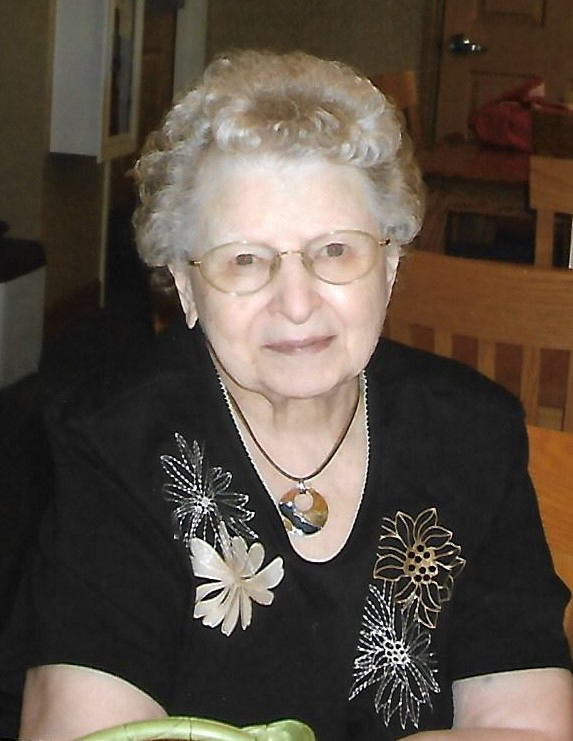 Lorna Wyant, 87, of Marshalltown, was sent home to be with her Lord and Savior on Wednesday, April 12, 2017, with her earthly family by her side. A Celebration of Life will be held at 11:00 a.m. on Monday, April 17, 2017, at Faith Church in Marshalltown. Visitation will be from 9:30 until service time at 11:00 a.m. at the church. Memorials may be directed to the family to be designated at a later date. For condolences or questions please visit: www.mitchellfh.com. Mitchell Family Funeral Home is caring for Lorna and her family. Phone 641-844-1234. Lorna Faye Elder was born in Marshalltown, Iowa on July 11, 1929. She was the daughter of Ralph and Gertrude (Nakken) Elder. Lorna attended school in the Conrad School District graduating with the Class of 1947. On August 7, 1948, Lorna was united in marriage to Wayne Wyant in Marshalltown. They had lived in Gilman and Marshalltown. Lorna worked at Fidelity Brenton Bank and retired after 30 years of service. She was an active member of Faith Assembly of God Church in Marshalltown and belonged to the Women’s Group; she was known for her strong faith and her warm hugs and bright smile. Lorna always had an open door policy for anyone to visit or sit down and talk. She was a great listener and was never one to judge anyone and always had a hot pot of coffee ready along with a refrigerator full of pop for all of her grandkids, great grandkids and grandkids friends. Lorna had a love for dolls and had a huge collection, loved to read and was known for her cooking, especially her “famous” macaroni and cheese. Once she had the privilege of becoming a grandmother, they became the loves of her life. Lorna will be remembered for her smile, her kindness, being a prayer warrior for many and her little one-liners such as “higher than a cats back,” “never look a gift horse in the mouth” and our favorite “well, here we are all out of cigarettes” (and she never smoked a day in her life). Left to cherish her memory are her children, Linda Walker and Darrell (Kristi) Wyant, both of Marshalltown; grandchildren: Chad Walker, Andrea Koch (Zac Olson), Chantel (Shane) Lynch and Shala Wyant; great-grandchildren: Morgan, Layten, Kael, Cole and Jase. In death Lorna rejoins her parents, husband, sister in infancy and brother, Virgil, whom was killed at the age of 19 in WWII.